For those that read my blog often, I am all for the improvement of finances and also what it would take to make businesses boom. This very significant event is in line with the same and if you are looking to improve your business, getting to know the latest economy trends or needing adding info on marketing then this is a must-go-to event for you. • Micro - multinationals E-commerce connecting SMEs to ASEAN and beyond. Whew! And that is just the PARTIAL list! 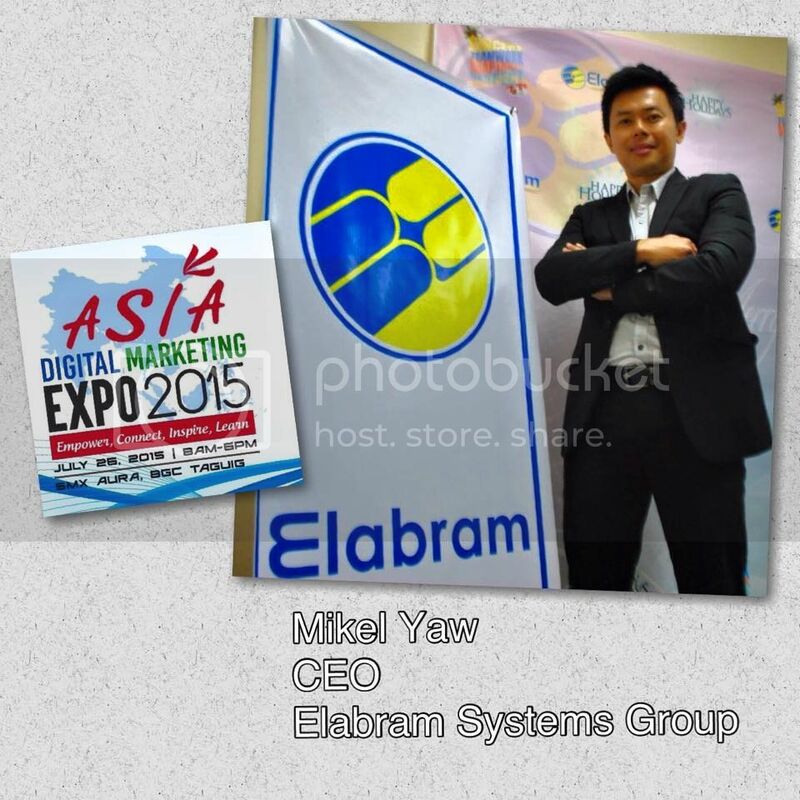 Main photo shows Mikel Yaw, who is the CEO and Managing Director of Elabram Systems Group (ESG) (http://www.elabram.com ) with Headquarter in Malaysia & offices in the Philippines, Indonesia & Thailand. ESG main solutions are Network Planning & Optimization, Talent Acquisition & Deployment, Business Process Outsourcing & Knowledge Process Outsourcing. ?He has received awards from Huawei China just this February 27, 2015 for his project contributions and also won different awards in Malaysia & Indonesia as Entrepreneur of the Year. For two years, he has participated as one of the speakers at LTE World Summit in Amsterdam & in USA and as a speaker for the upcoming LTE Middle East in Dubai this May 2015. Got you interested yet? If so, you may visit www.asiadigitalmarketing.ph .